So said Mets catcher Brian Schneider in 2008 when instant replay was first proposed for Major League baseball. This idea – “you have to get it right” – has been the driving force behind the rise of instant replay in baseball and all sports. 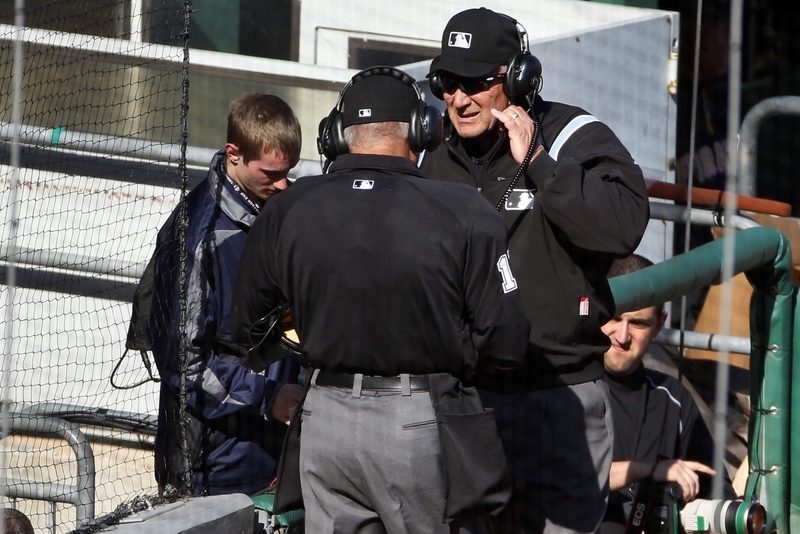 Although baseball was slower than some other sports to embrace this technology, in recent years instant replay has become part of the fabric of America’s pastime. Lately, there have even been calls for “robot umpires,” since determining strikes and balls is still a completely technology-free endeavor. But is the integration of these technologies into the game of baseball a good thing? 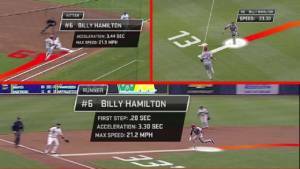 Exactly how fast is Billy Hamilton? Anyone who knows me knows I love technology. I’ve been a software developer for over 20 years, and a Star Trek fan since grade school. Also – unlike many old-time baseball fans – I love what technology such as computer-driven advanced statistics and StatCast has done to the game. The ability to drill down and explain exactly what’s happening on the field – and have teams adjust to this information – is a monumental leap forward for the sport. Without modern technology we would still know that Giancarlo Stanton could crush a ball, but with tools like StatCast we can know exactly how badly he crushes it. Further, being able to analyze the spray charts of each hitter allows defenses to shift accordingly, even pitch-by-pitch, in an effort to get the upper-hand. This rewards bright managers, and keeps them always working to improve how they manage a game. So yay for technology! But I don’t love technology in the game just for technology’s sake. I love it when it makes the game more entertaining. Although the game is a business for the players, the managers, and the teams, it’s entertainment for fans like me. I watch the game as a way to relax (and yes, I find obsessively following stats relaxing). So even though I like seeing modern technology integrated into the game, I only desire it when I believe it increases the entertainment value of the sport. Further, these tech advances don’t fundamentally alter the experience for the fan watching the game. If you don’t care about WPA or OPS or how fast a ball leaves a bat, you can just ignore that information and watch the game as you always have. Can I make a call to New York? Which brings us to instant replay. Baseball was initially slow to embrace it, but then the “Perfect Game” happened. I remember my family was watching a Reds game on MLB.tv back in 2010 when I heard that Armando Galarraga of the Detroit Tigers was pitching a perfect game in the 8th inning. I switched over to watch it, hoping to catch a little history. Boy did I ever catch history. With 2 outs in the bottom of the ninth, Galarraga needed to just get Jason Donald out to wrap up the perfect game. He was able to induce a ground ball to the first basemen, who tossed it to Galarraga covering first. Even in real-time it was obvious Donald was out and for a split-second everyone knew Galarraga had a perfect game. Except he didn’t. Inexplicably, first base umpire Jim Joyce signaled “safe.” Galarraga, who was obviously dumbfounded, simply smiled and went back to the mound (he ended up retiring the next batter). Since there was no instant replay in baseball at the time for calls such as this, there was nothing that could be done to overturn Joyce’s terrible call. Outrage quickly followed, and calls for instant replay became louder and more insistent. Finally, in 2014 a more-or-less full instant replay system was implemented. Now almost any play (but not balls and strikes) is reviewable, and it’s a rare game anymore that doesn’t include at least one reviewed play. With the advent of instant replay, there was much rejoicing in the baseball pundit class, especially in places like ESPN. Now finally baseball has entered the 21st century! Now we’ve eliminated human error! Now we won’t have another terrible incident like Galarraga’s “perfect game!” But I’ll admit it: I hate instant replay, at least as it’s implemented today. I can just feel the excitement. My number one objection to instant replay is that it greatly diminishes the entertainment value of the game. I used to watch professional football pretty regularly, but I stopped about a decade ago and one of my main reasons was how often instant replay disrupted the game. Several times a game we would have to sit and wait while a referee has his head stuck in a camera well trying to decide whether to overturn the call or not. Meanwhile we have to watch players standing around, coaches standing around, the headless ref reviewing the call, and endless replays of the play in question. Not exactly entertaining. And now baseball wants to replicate this boredom. After any close call, we see the manager come to the top step, look back at one of his coaches on the phone with their replay guy, waiting to see if he should call for a review. Then when he does, a couple of umpires leisurely walk over to their headsets to talk to “New York” (where the replay actually occurs). For 2-3 minutes (and sometimes longer) we wait while the umpires wait for the word from New York. For a game that’s trying to speed things up and eliminate dead time, how’s this acceptable? It’s a classic example of unintended consequences: instant replay is intended to eliminate the very infrequent important missed calls we all remember, but in doing so it creates vastly more interruptions in play. I can already hear the objection: “But, Eric, what matters is that they get the call right!” I agree that it would be nice to get the call right (and MLB umpires are amazingly good at getting the call right in real-time), but I’ll respond with two points. First, we’ve had enough experience with instant replay in baseball to realize that they still don’t always get the call right. Human error just gets moved from the field to the video room in New York. True, less mistakes probably happen now, but at what cost? Adding completely boring segments to most games? My second point touches a more fundamental issue: it doesn’t really matter if they always get the call right. That’s right, I said it. When I’m rooting for my team I really don’t want any blown calls to go against them, but, in the end, it doesn’t matter. It’s a game for entertainment, after all. I understand players and managers care, because their livelihood depends on it, but for purposes of providing entertainment, I’ll take a few missed calls along with much fewer boring breaks in the action. And sometimes a mistake adds something to the game. After all, if Jim Joyce got that call right, then Galarraga would have gotten his perfect game, but by making a mistake, the world got something much better: Galarraga’s humble reaction, and Joyce admitting his mistake. Galarraga’s game is now the most celebrated “perfect game” in baseball history, all because of human error. 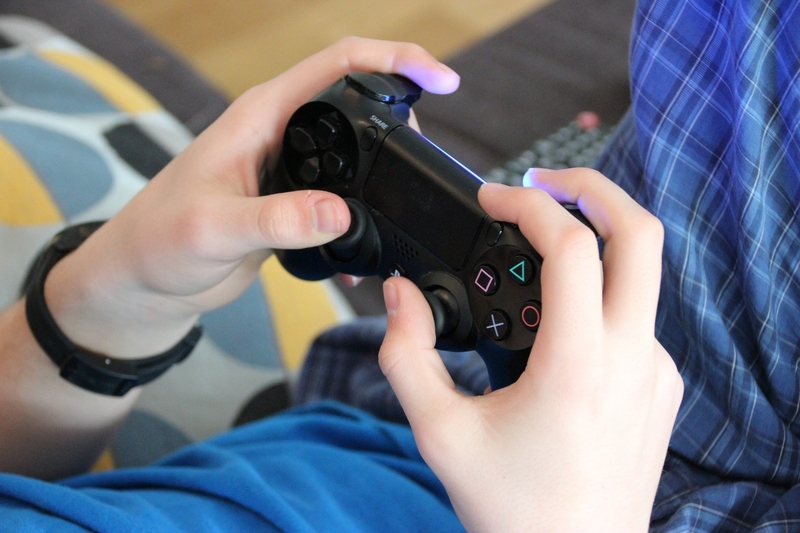 I suspect the desire for perfection and “getting it right” has its basis in the video game generation. In video games, the calls never are mistaken. Everything happens as you would expect on a computer. In real life, things are much messier, but it’s the messiness, in my mind, that gives flavor to the world. For example, the fact that umpires cannot perfectly call balls and strikes has led to “catcher framing,” where the catcher receives the pitch in such a way that it appears to be a strike, even if it’s slightly out of the zone. Catchers who are talented at this then get rewarded by teams who realize its great value. With robot umpires, such a skill – which is fascinating – would be lost. Where will it end? It seems to me that the natural trajectory of this sentiment for an error-free game is not just instant replay, not just robot umpires, but robot players and robot managers. After all, players and managers make errors all the time, so let’s eliminate them as well! Wouldn’t the game be much cleaner if everyone out there was run by a computer chip? 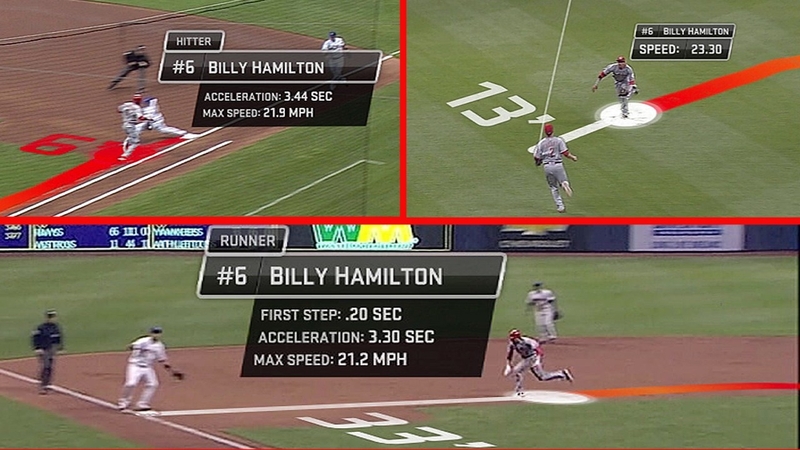 Again, I’m a fan of using technology in baseball. But I only like technology that makes the game more entertaining, not less. In my ideal world, I’d abolish instant replay and ignore any calls for robot umpires. I realize that mistakes will be made, but ultimately, mistakes are part of the human condition, and I’m fine with a big touch of humanness in my sports.